As most of you know, we have been homeschooling for the past 16 years, in some form or another. We began our homeschooling journey when our oldest children, DJ and Adriana, were entering 5th and 3rd grade respectively. 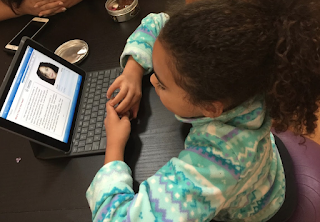 We chose to homeschool through a local charter school and it was a good fit for us. In 8th grade, Adriana decided she wanted to go to public school and we agreed. Our neighborhood was opening a brand new high school the following school year and our schedule was getting increasingly busier with the addition of our three boys. Adriana attended public high school and went on to graduate from there, while DJ graduated from the charter school. Both were the right fit for each of them. Since our younger boys all had special needs and required a lot of therapy, they were all enrolled in public school for preschool and their early elementary years. We went on to adopt again in 2008, this time a baby girl. In 2010-2011, we were having a lot of IEP meetings with the school district to communicate the needs of our boys. There just seemed to be a lack of understanding from the administrators and the particular teachers that year, as well as denial that any of what we were saying as parents could be true. The boys would come home from school so overstimulated that we would end up dealing with behaviors until bedtime. For one of our boys, we were finally able to get more supports by the end of the school year, but we were told those supports would be scaled back the following school year. We had enough and decided to homeschool the boys the following school year. We felt that it was important to let the boys finish out the current school year, as they only had a couple of weeks left. In the Fall of 2011, we began a new journey of homeschooling. We decided to homeschool our boys independent of a charter school and filed an affidavit with the Board of Education. In our state (California) we were required to keep attendance. Of course I kept all of their school work too in case there was any question of if we were really “doing school”. We began by exploring themes and creating projects as we were learning. Lots of hands-on fun! You can check out our posts on the ladybug life cycle, the solar system, ocean diorama, fun with flubber, ocean diorama, killer whale costumes, and much more! We also did a lot of practicing our social skills, from learning how to order meals at a restaurant to exploring local museums. We concentrated on toileting skills as none of the boys were toilet trained yet. Yes, even in grades 1st, 2nd and 4th. We also found a great program called Autism Center for Excellence (ACE) for children who are on the autism spectrum. It was at Sacramento State University which was only 30 minutes away from our house and Alex began attending 3 days a week. Since James still had an open cleft palate despite 3 surgical repairs, he required intensive speech therapy. 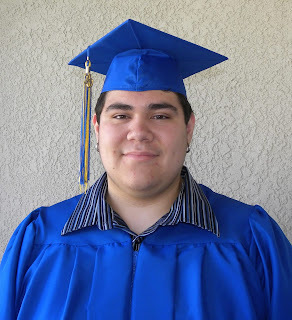 We had him attend the Maryjane Rees Language, Speech and Hearing Center at Sacramento State University for a semester. Unfortunately he was also diagnosed with selective mutism and anxiety, so he would not speak outside our home or to unfamiliar people. It's incredibly difficult to do speech therapy with a student who refuses to speak! 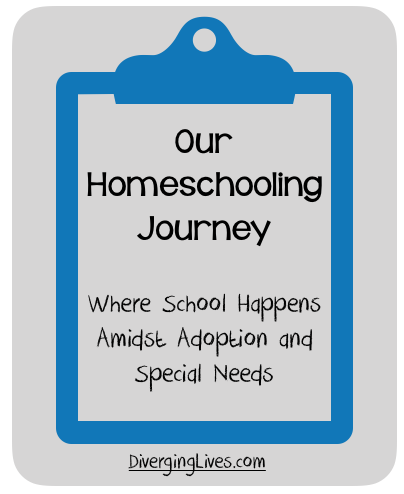 During that first year of homeschooling independently, we happened to move. Since our boys still required additional therapy, we sought help from the new school district. We went through the IEP process and were granted services under an ISP (Individual Service Plan), since we elected not to enroll the boys in school. We found this to be very helpful and I accompanied the boys to speech and OT at the local elementary school. That only lasted a year as we moved again. Then came the educational experience of a lifetime...a cross country trip during the summer of 2013. We were on the road for 2 months and were able to visit locations such as Yellowstone, Mount Rushmore, the arch in St. Louis, Niagara Falls, Statue of Liberty, Washington D.C., Myrtle Beach, Disney World in Florida, the Riverwalk and Alamo in San Antonio, TX, and the Grand Canyon. During the school year prior to this trip, we studied US History so the kids would have some background information. We even took part in a postcard swap where we sent 49 post cards from our state (California) and received post cards from a family who had been assigned to each of the other 49 states. As each post card was received we colored in the state it was from on a map of the United States. The kids looked forward to checking the mail everyday for a new postcard. 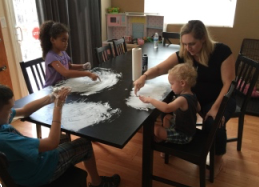 We continued homeschooling for the next 2 years as our family expanded again. This time with a girl and a boy! Social worker visits, doctor appointments, family visitation, and more therapy for the youngest 2 did not leave much room for homeschooling. Then Joey received a diagnosis of autism and ABA (Applied Behavioral Therapy) sessions were added multiple times a week, in addition to speech, OT and feeding therapy. Joey working with ABA therapist. James began receiving services for speech and OT through our local school district (different school district). Alex and James attended a social group once a week (separately). Before Rissa turned 3 we had several meetings with our school district about her transitioning to preschool and we decided to also enroll the boys in public school. We worked with our new school district to assess all three boys and conduct IEP meetings. Alex was now in high school, James in junior high and John was in his last year of elementary school. We decided to continue homeschooling Amada due to her anxiety, but with the support of a charter school. We soon found out that the grade level curriculum, especially for reading and writing, was too difficult. We requested that Amada be tested for an IEP. Right before Christmas break it was determined that she qualified for an IEP and would begin receiving speech and resource support. We began using curriculum more geared towards her level and needs. Because school was much more challenging now, it became increasingly difficult for Amada to focus and actually complete her school work. We debated having her attend public school the following year, but she was adamant that she did not want to. The boys were adjusting well to public school for the most part, with the exception of Johnathan's behaviors. More IEP's and the addition of a mental health counselor who came to our home were necessary. Despite being turned down for Alta California Regional Center at least 3 times, we persisted and had Johnathan tested by a Neuropsychologist. This testing revealed that Johnathan had an intellectual disability, just like Alex and James, and was eventually deemed a client of the Regional Center. 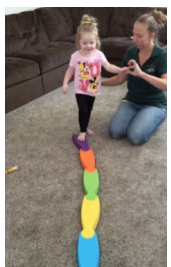 The following Fall, Rissa began attending Center Preschool, a full inclusion preschool. After several months it was apparent that her anxiety was worsening, so we decided to keep her home until after the Winter Break. Then when she returned, I attended with her to give her some security and share clues about her with the instructors. We also began seeking treatment from The Attach Place in the form of neurofeedback. Her anxiety began improving! In the Spring, when Joey turned 3 and also began attending Center Preschool. I was no longer able to attend with Rissa because of Joey's behaviors, but he became her security person. It was also decided that he needed to have an aide that would work him 1:1. This worked out nicely and I was able to dedicate more time to working 1:1 with Amada at home. We decided to continue with the charter school another year. Fast forward through an entire school year which brings us to the present. 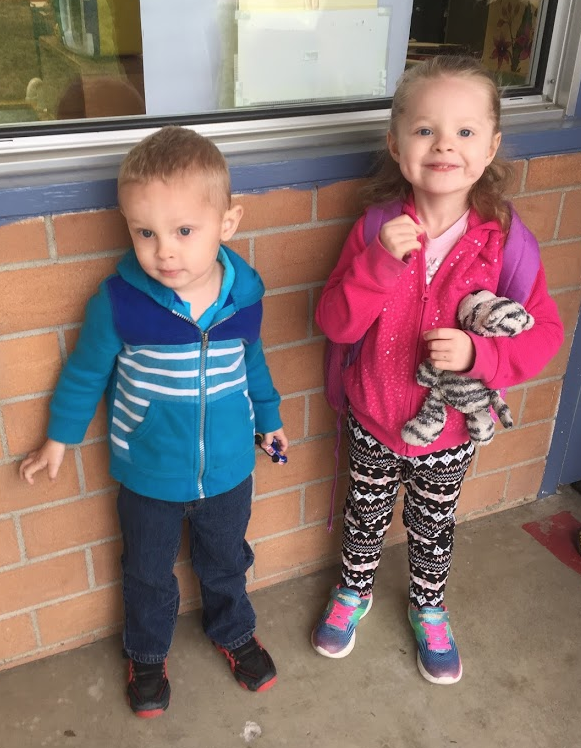 With Rissa entering Kindergarten in a couple of months and Amada needing much more support than I can give her, we decided to enroll them both in our local elementary school. This will be the first time in over 15 years that I am not homeschooling in any capacity! And can I say that I am looking forward to it. I realized this summer that there is no need to scour curriculum, get my ordering done early in order to be on top of the planning, etc. and it is marvelous! I will however be attending a lot of IEP meetings throughout the year since all 6 children (currently at home) require them. Please let me know if you have any questions and I will gladly answer them.